It was a triple whammy really. Each month, members of shootingpeople can upload their films which are then viewed and 'liked' by their peers’, creating a Leaderboard. The three films at the top on the first day of the following month go through to the next round. Well my short film 'One Other Thing', which I uploaded last month, got through to the next round. These films are sent to one of Shooting People’s high-profile patrons, who gives a personal review to each, and then chooses the Film of the Month. 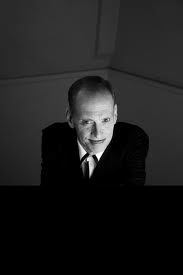 Well the judge this month was John Waters (very cool). And he decided that 'One Other Thing' would be Film of the Month. Thank you and also thank you and well done to everyone in the cast and crew who made this possible! His comments were: "The hell of romantic break up told with a cringe invoking but recognizable-to-be-all sense of humor. Revenge is always embarrassing in hindsight and this film proves that point in a precise, punching way." A warm round of applause should also go to the two other films in the running this month which were 'Side by Side', written and directed by Jamie Hooper and 'Small Gifts' directed by Brady Hood and written by Ronnie Mackintosh. If you didn't get to see 'One Other Thing' then you can either watch it via shootingpeople or directly via Vimeo below.